SeeSAW (See Savannah Art Walls), Savannah, GA (2011-2015), was co-founded by James Zdaniewski and Matt Hebermehl. The goal of SeeSAW was to synthesize local art, commerce, and civic participation through public art installations. 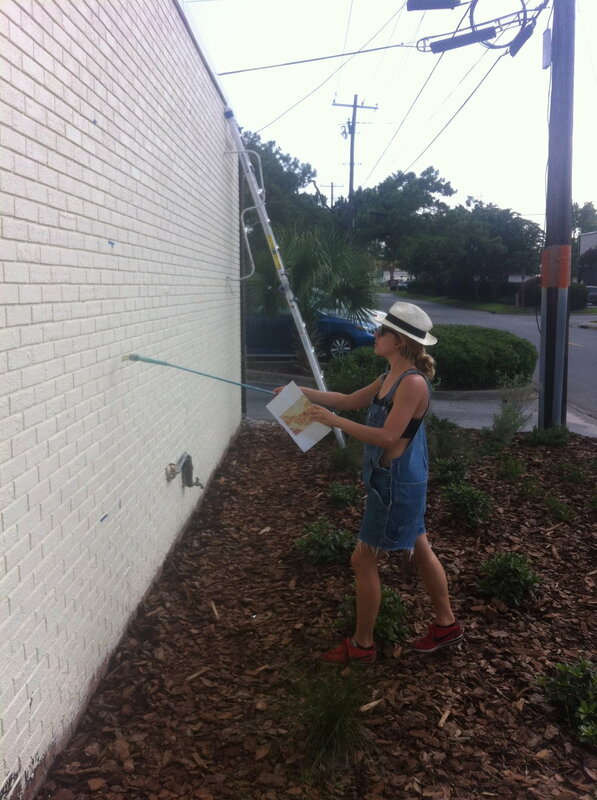 Under the banner of SeeSAW, Hebermehl and Zdaniewski worked with Ellen Harris of Savannah’s Metropolitan Planning Commission to create a mural ordinance after works of art on private property were arbitrarily buffed by the city and/or resulted in illegal signage citations for property owners. At that time there was no way to apply for a permit to paint a mural on private property in the public view. 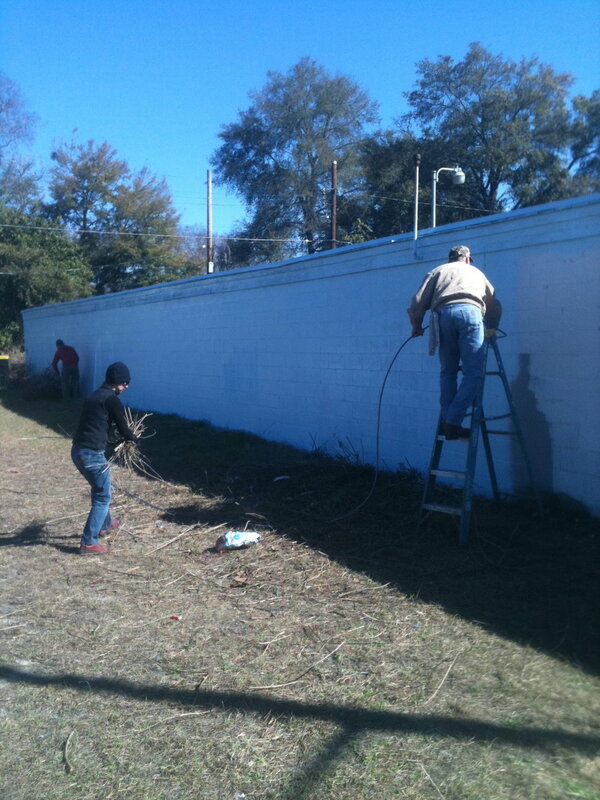 The first iteration of the mural ordinance was approved in late 2011, under that version SeeSAW successfully petitioned for a designated mural wall at 34th and Habersham Street, the first wall of its kind in Savannah. The ordinance went through several reviews over the course of 2012 and a final version was approved and officially implemented into city planning by Savannah’s City Council in January of 2013. Unfortunately, in the late summer of 2014, the SeeSAW mural wall at 34th and Habersham Street was demolished for a condominium development. The developer was kind enough to let us salvage bricks from the wall and redistribute them to those who supported the cause. During its formal existence, SeeSAW produced a total of seventeen works in four states. James and Matt thank all of those who sacrificed, volunteered, contributed, and shared the moment; it meant the world and still does. It was a special time and place, you had to be there. 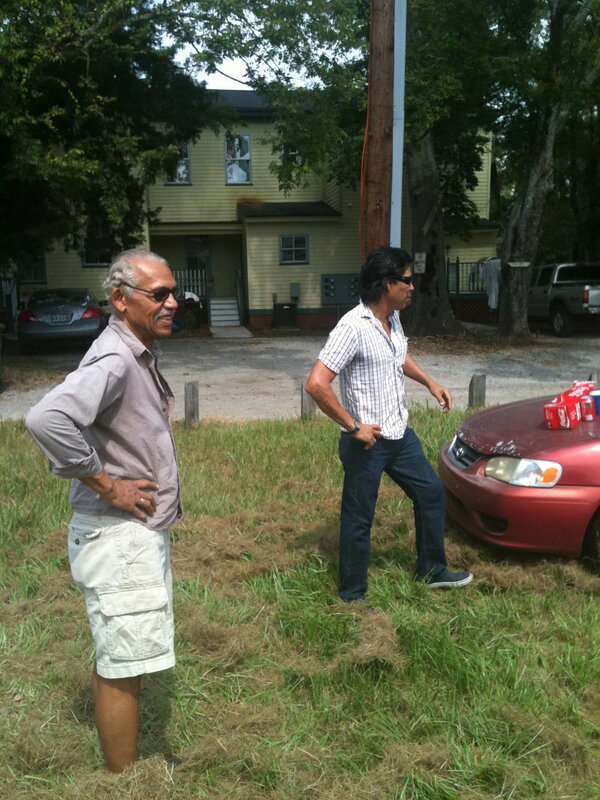 James and Matt posting the first public notice for a mural petition at 34th and Habersham Street, Christmas Day, 2011. Katherine Sandoz painted an abstracted landscape of Turtle Island, a hammock along Georgia’s Atlantic coast fourteen miles due east from the wall on 34th Street. Katherine Sandoz and her husband Dan Bucey prepping the wall and work area. Over the course of a week in June 2012, Troy Wandzel invited the public of Savannah to sit and have their portrait painted along SeeSAW's mural wall at 34th and Habersham Street. Troy's mural installation added a layer of bright flower portraits onto artist Katherine Sandoz's abstract landscape of Turtle Island. Hundreds of community members braved the Savannah heat to participate in the installation, while over seventy portraits were painted. Artist Adolfo "INOPE" Alvarado's mural installation at 34th and Habersham street personified Savannah as a mercurial maternal figure adorned with vines and an oceanic head dress while flanked by two trumpeters that referenced the Forsyth Park fountain. Adolfo / Inope working his magic. David Ellis’ work in Savannah in the early 2000’s planted seeds of inspiration for Matt and James to form SeeSAW. Ellis’ weeklong collaborative installation was an in memoriam celebration honoring the late Matthew Mascotte, affectionately known as Zeke. Mascotte was responsible for bringing Ellis to Savannah on multiple occasions for exhibitions and special projects with the Savannah College of Art & Design. We weren’t able to get a proper mural permit in time for Ellis’ visit so we went off-road and arranged a trailer for him to paint. The trailer was donated by Guerry Lumber. At David’s request we were also able to wrangle a boat for him to paint by way of loan by Jon Alvord with the production assist by Casey Belogorska. Conceptual sketch for the Zeke truck in memoriam of Matthew “Zeke” Mascotte; Matthew died in Savannah on Feb. 25, 2011, at the age of 42 after a lengthy battle with cancer. Zeke was the common bond between David Ellis and Matt Hebermehl. The seeds of SeeSAW were planted while working on a project with Ellis and Mascotte at The Rib Hut restaurant in 2009. Dwayne Brown adding to the Zeke trailer. Beau Dickensheets salvaging his portrait. 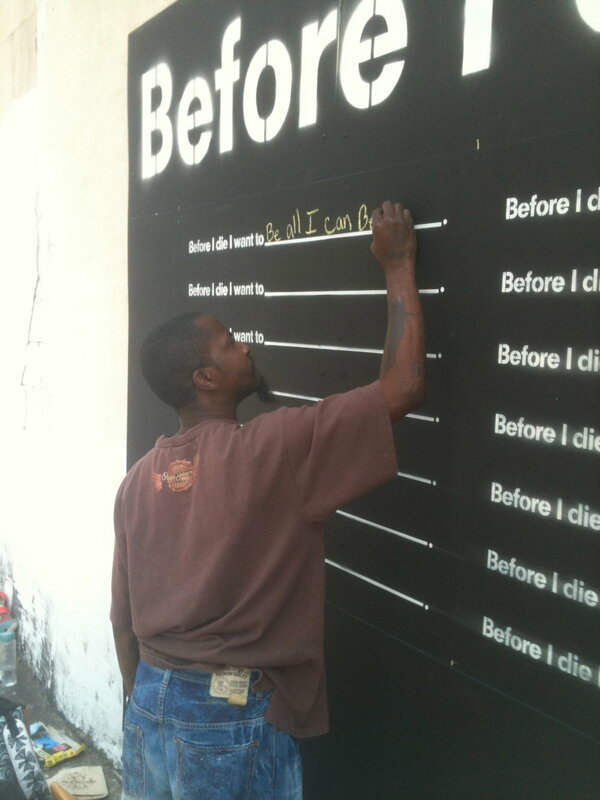 SeeSAW collaborated with Megan Luther and the late Francis Allen to create a one month long dual site installation of Before I Die… The walls were located at 109 MLK Jr. Blvd, and 31st and Waters Ave. BIDSAV was sponsored by AWOL, INC for the 2012 Savannah Urban Arts Festival (SUAF). Jerome Meadows also consulted on site locations. Bryce Kirton installing the panels at 31st and Waters. Francis Allen and Megan Luther installing the template at 31st and Waters. The first participant at 31st and Waters. James Zdaniewski and the late Francis Allen installing the template at 109 MLK. Trevor Coe’s iconic photograph of the 109 MLK wall. The hexagonal pattern within the preexisting sun-shade at Kayak Kafe served as the stimulus for Walker’s mural. The sunshade is prototypical of the building's midcentury modern design, which is characterized by simplicity, flat planes, and integration with nature. The mural reiterates these ideas, and utilizes the stagnant space between the edifice and sunscreen; flowing in and out of the shaded area and across the western facing wall like a wave. 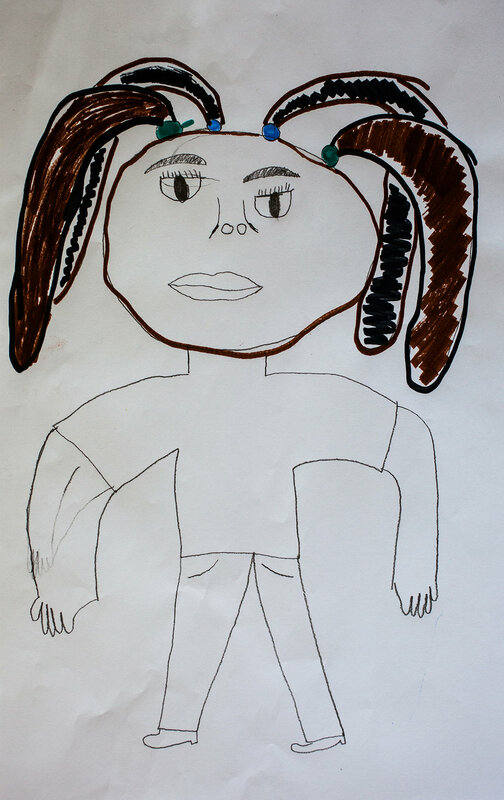 SeeSAW and Jose Ray teamed up with the West Broad Street YMCA’s after-school art program led by Molly Lieberman to design a mural that embodied the spirit of the West Broad Y. 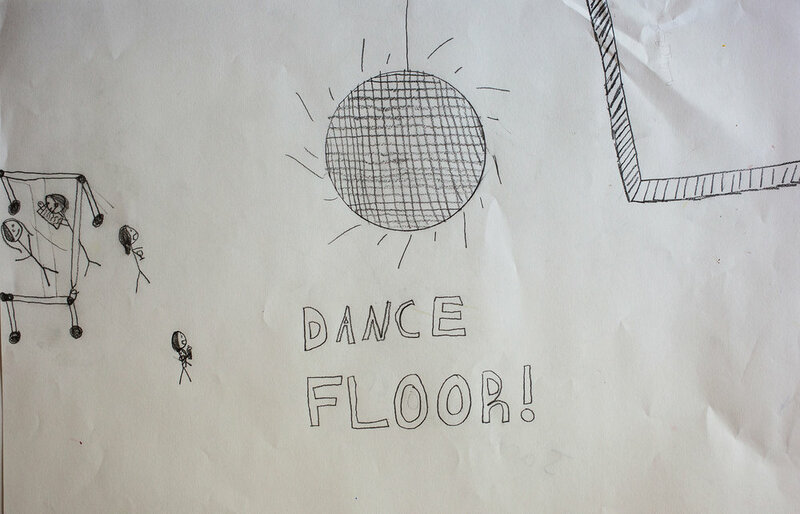 The art was created in weekly workshops where kids discussed their favorite aspects of the YMCA and then created drawings based on these conversations. Matt Hebermehl, Jose Ray and Mike Williams then painted the mural inspired by the students’ drawings. SeeSAW presented a six night installation of selected poems from Jason Armstrong Beck’s highly regarded, and much publicized,The Journal of Bison Jack. 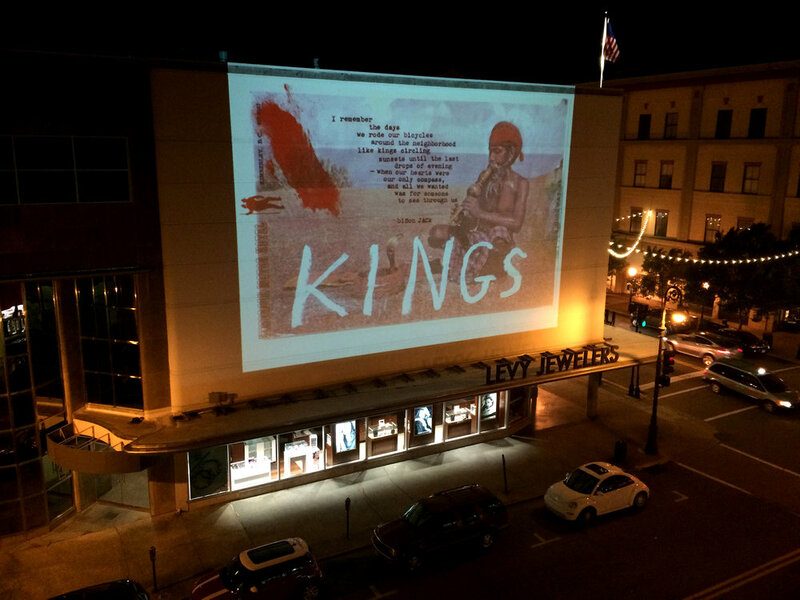 One poem was projected nightly for two hours onto the facade of Levy Jewelers, located at downtown Savannah’s central intersection of Bull and Broughton streets. 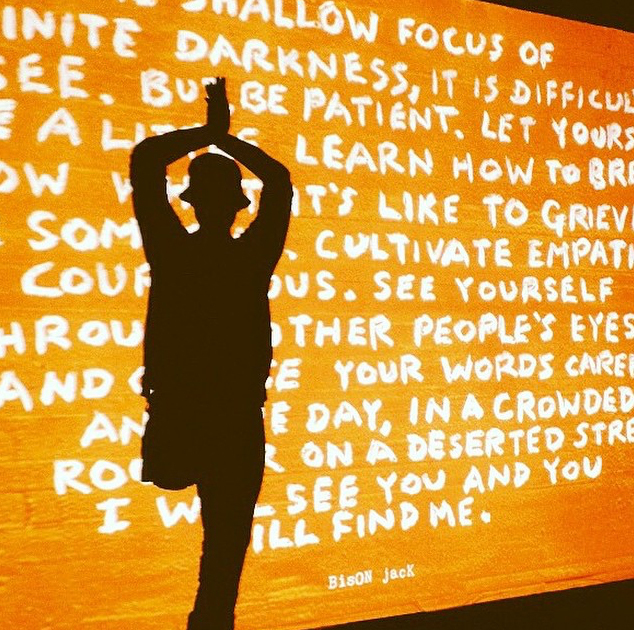 COA followed up The Bull and Beast’s call to, “look up,” by asking viewers to “look in.” A vacant storefront was transformed into a viewing portal for a seven night presentation of selected poems from The Journal of Bison Jack by Jason Armstrong beck. In July of 2015, Matt Hebermehl was hired by Adam Lindemann’s Venus Over Los Angeles gallery to consult and assist on artist Katherine Bernhardt’s mural installation. At the time, it was Bernhardt’s first large scale mural.